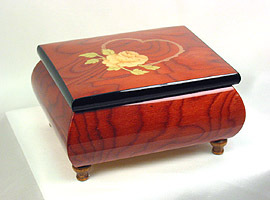 Musical Box with inlay work. 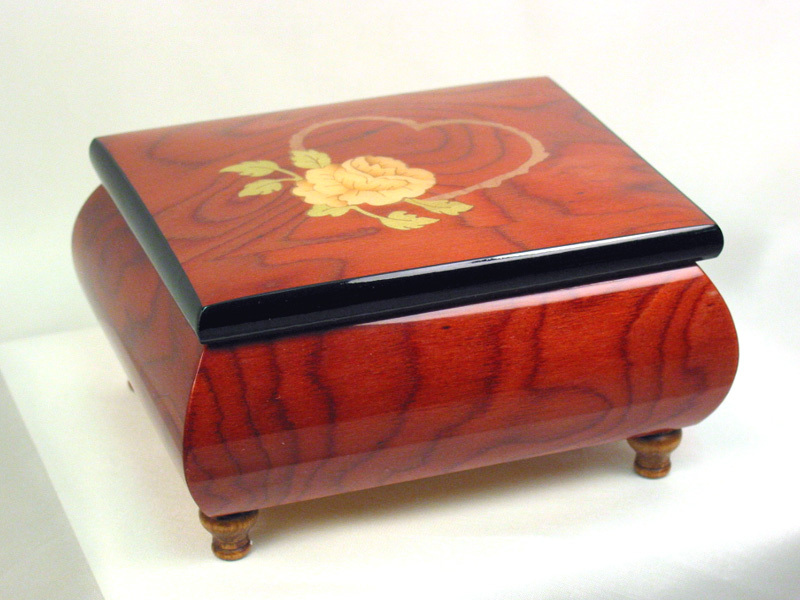 Beautiful hand-made musical box. Inlay: heart & rose motive. High Quality Swiss Made music works. Made by Ercolano S.R.L. in Sorrento, Italy. Inlay, art and jewellery. Not a slogan, but a mission, the historical route and the whole of the three lines of Ercolano s.r.l. production. The firm's history is one in which the crafting of wood became precious works of art. In the 1940's a craftsman, Orlando Ercolano, learnt the technique of inlay in one of the many shops in the area. Inlay is in fact, in the Sorrento Peninsula, a tradition born in the second half of the 19th century and developed thanks to the work of dozens of teachers and apprentices to their workshops. Orlando Ercolano decided to dedicate himself to the realization of quality products and unique and inimitable objects, that became luxurious and precious works of art. The minute details and the precision in the whole creative process has led to international fame.